The oldest Homo sapiens bones known date to about 200,000 years ago, but the new analysis shows these bones are surprisingly old: 300,000 to 350,000 years old. A reconstruction of the human fossils, a composite image from the CT scans of multiple specimens. 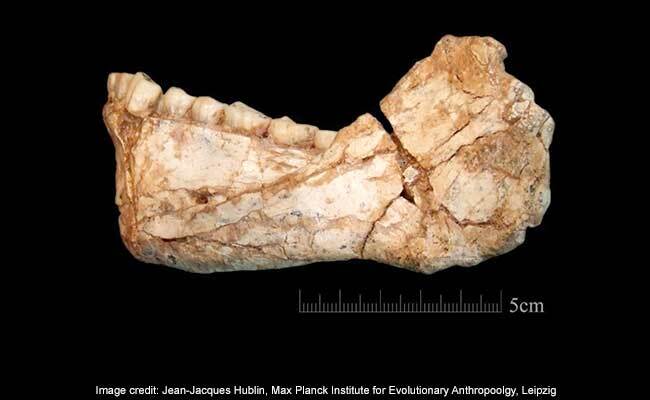 Bones found in a cave in Morocco add 100,000 years to the history of modern human fossils. These bones are from "early anatomically modern" humans - our own species, Homo sapiens, with a mixture of modern and primitive traits, an international team of anthropologists, paleontologists and evolutionary scientists report in a pair of papers published Wednesday in the journal Nature. Despite their primitive features, these ancient people could blend in with a modern crowd, study author Jean-Jacques Hublin of the Max Planck Institute for Evolutionary Anthropology in Leipzig, Germany, said in a news briefing Tuesday - particularly, he added, if hats covered their somewhat oddly shaped heads. Workers discovered the bone site in the 1960s. Barite miners excavating a hill in western Morocco hit a pocket of red sediment with ancient stone tools, limbs and a human skull, which the workers gave to the quarry doctor. The doctor turned the skull over to scientists. It was a puzzling bone. 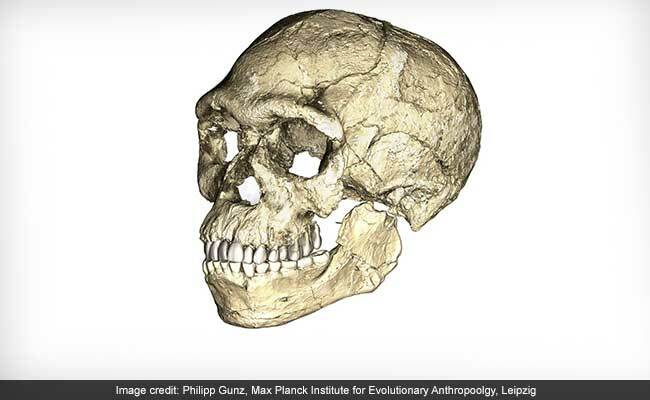 At first the skull was linked to Neanderthals, a species that has been found in Europe but not Africa. Discoveries of human fossils in Ethiopia, Kenya and Tanzania soon overshadowed the bones from the Moroccan hill. Complicating matters still, the quarry miners took few detailed records of where they found the bones. But the hill, named Jebel Irhoud, was not forgotten. Hublin explored the site several times in the 1980s and 1990s, though he had little luck. In 2004, a cave at Jebel Irhoud yielded a tooth. And a year later, a second tooth. And then, finally, another cranium. The Jebel Irhoud fossils are roughly 100,000 years older than any previously described modern human bones. In the late 1960s, Richard Leakey and his fellow paleoanthropologists found Homo sapiens fossils from the Kibish Formation of Ethiopia, dated at the time as 130,000 years old. In 2003, in Herto, Ethiopia, anthropologists said they found older Homo sapiens, about 160,000 years old. Two years later, a reanalysis of the Kibish specimens added 35,000 years, pushing fossil evidence of Homo sapiens to just under 200,000 years ago. An almost complete adult mandible found at Jebel Irhoud. "I think it's wonderful that finally we've got a date from Jebel Irhoud," said Frank Brown, a University of Utah geologist and author of the Kibish reanalysis who was not involved in the new research. " They're not Homo neanderthalensis. They're not Homo erectus . They're not Homo anybody else." Brown said that the dates made sense, considering the "near-but-not-quite modernity of the specimens." He also noted that "the authors were careful to say that the remains are on their way to being anatomically modern." There is no specific biological feature that validates a specimen as a member of modern Homo sapiens. But a jutting chin helps. "Humans all around the world have a modern human chin," Shara Bailey, an anthropologist at New York University and one of the study's authors, told The Washington Post. Bailey said that Irhoud mandibles, like our jaws, have a prominent chin, as well as several dental features found only in modern humans. "The really cool stuff with Irhoud," she said, is that "the traits that make them look more like humans are not primitive traits." To reconstruct ancient skulls, the study authors examined features from specimens Irhoud 1 (the face and brain case found in 1961), Irhoud 2 (a brain case found in 1962) and Irhoud 10 (the partial face found in 2007). The reconstructions of the Irhoud 10 face fall "right in the middle of the recent modern humans," said Richard Potts, a paleoanthropologist who directs the Smithsonian Institution's Human Origins Program. The analysis revealed "small faces shaped distinctively like modern humans," he said in an email. And although their brain pans fall outside the range of humans alive today, "so do several other clearly fossil Homo sapiens from Africa and Europe," he said. "So that's okay." Comparing these with facial position on known human skulls from Ethiopia, Potts said "I think we have a good instance of early Homo sapiens from Irhoud." Two techniques dated these humans to about 300,000 years ago. Electron resonance spin dating can estimate how long enamel, for instance, has been bombarded by radiation from sediment. With this method, the scientists determined an Irhoud tooth was 286,000 years old (give or take 30,000 years). A method called thermoluminescence, or TL, dating can gauge the last time an object was heated, by measuring the electrons trapped within it. Fortuitously, the inhabitants of the Jebel Irhoud cave burned their flint tools. "That was big luck, I would say," Hublin said during the news conference. "People must have been involved in heating the flints, and these have been dated directly using well-established TL techniques," said Richard Roberts, an expert in luminescence dating at the University of Wollongong, who reviewed the dating techniques before the papers' publication. "I feel the authors have presented pretty convincing evidence for the presence of early modern humans at the site by 300,000 years ago and possibly a little earlier," Roberts wrote in an email. Potts was more critical of the dates. "In short, the dating has a lot of (indirect) links in the chain of interpretation," he said. The authors of the study assume that all of the human fossils came from the same sediment layer, he said. To link the new fossils to the 1960s specimens, the scientists cite a metal nail they found in the area from an older excavation. Potts also noted that in east Africa, dating the argon in volcanic ash is preferred over thermoluminescence (but there is no ash in Morocco to measure). All told, he said, the researchers' estimate of about 315,000 years old is a provisional "best bet," with the probable range between 247,000 to 383,000 years. Three hundred millennia ago, Morocco was wetter and dotted with clumps of trees. The ancient humans would have sought shelter in the cave as they stalked prey. "The overall picture that one gets is a hunting encampment," said study author Shannon McPherron, a Max Planck archaeologist, during Tuesday's briefing. The hunters carried the flint from a source some 15 miles away; they would have stopped by the cave to eat, light fires and retool their weapons, he said. The burned flint tools were more elegant than the heavy cleavers earlier in the stone age, McPherron said. Found among them were the remains of butchered gazelle, zebra, wildebeest and hartebeest. The researchers also discovered bones from a few carnivores, such as lions and leopards. As formidable as the Sahara is today, the region was more humid and the desert smaller 300,000 years ago, Hublin said - primarily grassland, instead of dunes, and broken up by lakes the size of Germany. The site is far north of where other early Homo sapiens bones have been discovered. Hublin envisioned that these early humans could travel across Africa from Morocco to Tanzania and back, spreading their genes along the way. "This view promoted by Hublin is by no means a slam dunk, but it is feasible," Potts said. "It will doubtless be tested over and over by further African fossil discoveries in this important time period." Bailey said that this research gives a Pan-African perspective to early modern humanity. "We tend to focus on areas of the world where we have a lot of fossils, in east Africa and south Africa. Much less work has been done in north Africa," she said. "We're getting a bigger picture of the process of the origin of our species."